I create art to glorify God. I am inspired by the beauty of our Earth ~ a sunset, flowers, God's pure love, the warmth of the sun on a fresh Spring day. My artwork emphasizes the positive and beautiful aspects of life and Creation. Please sign up for my email newsletters. You can expect 4-5 emails per year and I won't ever share your information. Thank You! All images of mosaic artwork are the property of Marymaking Designs and Mary Harrell and can not be used for any purpose without the express written consent of Marymaking Designs. 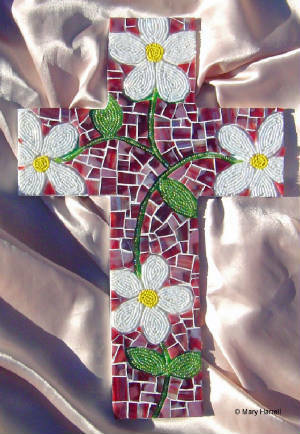 All mosaic designs are the intellectual property of Marymaking Designs and Mary Harrell and can not be used for any purpose.